Fairfax House, recognised as one of the finest Georgian town houses in England, is situated at 27 Castlegate, which is near to Clifford's Tower and York Castle Museum. 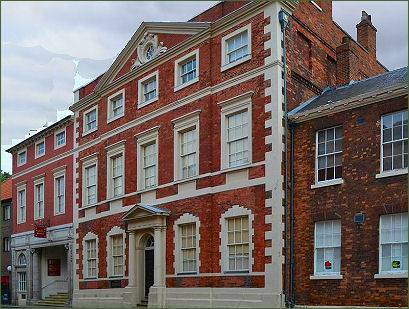 The building dates to the early 1740's, when it was probably built by a York merchant. 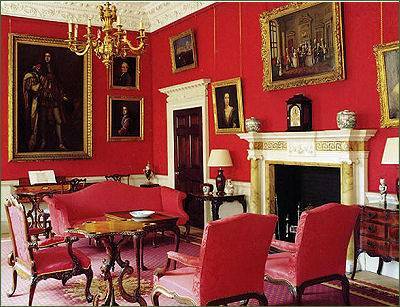 Charles Gregory Fairfax, Viscount Fairfax of Emley, from which the house's name derives, purchased it as a winter home for himself and his only daughter, Anne, in 1759, Fairfax employed the Yorkshire architect John Carr to remodel the interior. 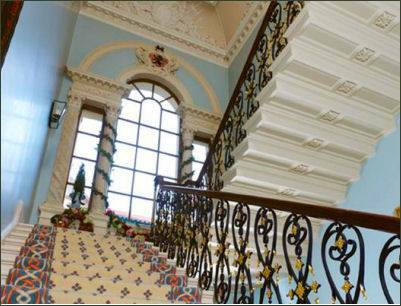 The work was completed in 1765, encapsulating the elegant Georgian era with its decorative embellishments, stucco reliefs and ceilings, elaborate wrought ironwork and wood carvings, the magnificent Great Staircase and Venetian Window. The interior has some of Yorkshire's finest mid-eighteenth century plasterwork by James Henderson (c. 1755–1778) and Giuseppe Cortese (c. 1745 -1778). Viscount Fairfax died in 1772 and without any sons, his title became extinct and during the next 200 years the house changed ownership on many occasions. Subsequent occupants included Sir Walter Vavasour, 6th Baronet of Haslewood (1780), William Danby (1787) and Peregrine Wentworth (1792). Fairfax House, renamed St. George's Hall, became neglected and fell into disrepair. However, between 1982 and 1984, the York Civic Trust painstakingly renovated the building and it is now a museum open to the public. 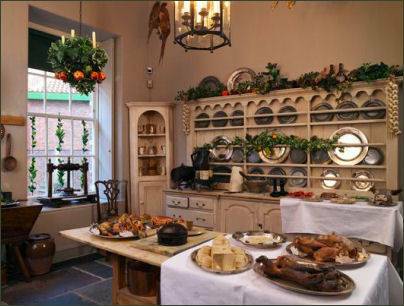 The house also contains a superb collection of eighteenth century furniture and clocks donated by Noel Terry (of the Terry's chocolate factory in York), as well as paintings and decorative arts.